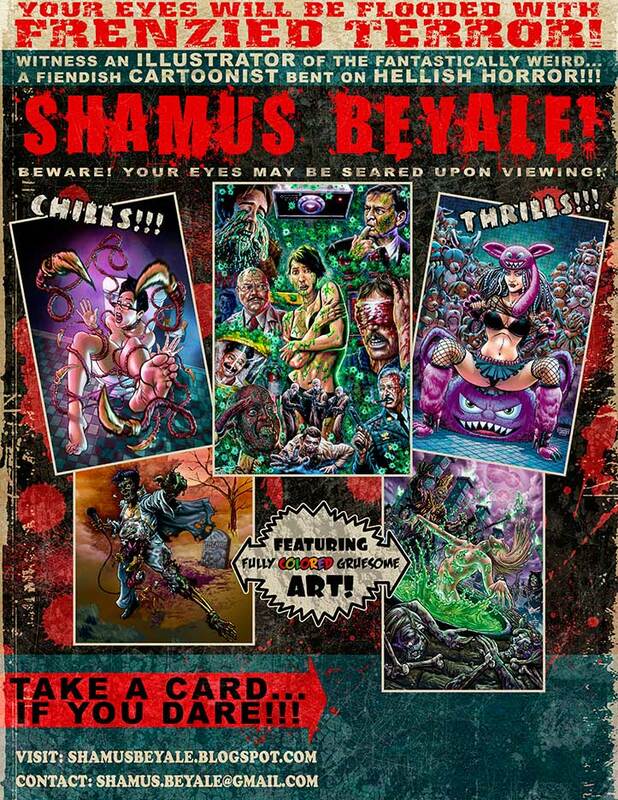 Shamus Beyale's Art: SHAMUS BEYALE!!! 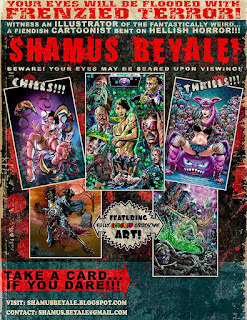 Here's a promotional poster I put together to be shown alongside my business cards. I was inspired by the poster for the amazingly awesome GRINDHOUSE movie of Rodriguez and Tarantino fame. I overdid the textures on this piece, but I was messing around and practicing with adding wear and tear. I researched and found some amazing websites showcasing movie posters, which you can check out HERE and HERE. I'm a fan of the painted variety of film posters, I think that they build up anticipation for viewing the film a lot better than Photoshopped floating heads and "photo illustrations" of today's output.